19th year on the Internet! Reproduction Watches Reliable Seller Excellent duplicate watches provides a excellent solution to take satisfaction within the appear and feel of taking care of a true designer view without the need of obtaining the significant obvious price. Nonetheless, acquiring reproduction watches from sources Rolex Replica watches other than trusted sellers will result in acquiring inferior excellent watches that don?¯t operate as expected and just appear low-cost. This makes obtaining your duplicate watches generally from reliable vendor important. The timepiece Store is trustworthy seller. They've exclusively the major replica watches at low cost prices. Every check out they've is crafted when working with the highest-quality materials and craftsmanship in an effort to give you several several years of assistance though showing up fantastic at your arm. They Replica Watches specialize in providing replica watches that swiss Replica Rolex seem and operate Replica Watches identical for the genuine factor. Also giving excellent reproduction timepieces, The wrist look at Shop provides unparalleled buyer assistance. They are very pleased of their items they've and back again it up with good quality buyer gratification using the intention that each customer is fulfilled with Women's replica watches each and every acquire. Any time you are available to get a duplicate look Replica Cartier at, do not have confidence in your reproduction observe a superb technique to just anyone. Acquire your knock off watches commonly from business which has in depth expertise all through the area: This wrist watch Retailer. 16 Nelson Ridge Rd. S.
Please call 207-215-2622 if you have items to sell. Disclaimer: If you were looking for a big corporate site replete with nameless, faceless, buck passers and flunkies who do not answer email or cannot answer it expertly, or a site with fancy graphics and automated systems, then you came to the wrong place. Please leave now. At stereoviews.com you will be forced to deal with a real person and friendly, reasonably knowledgeable personal replies. You will be stuck with knowing exactly where the buck stops! Sorry to put you through it, but that's the way it is around here. A dealer in 19th & 20th century photography as well as cameras, photographic related items, ephemera, and selected antiques. 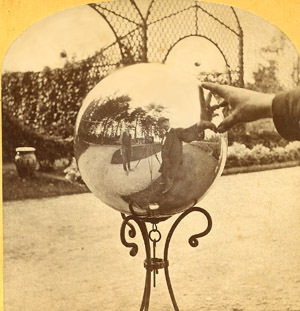 My specialty is stereoviews (stereo cards, stereo view cards stereopticon), viewers, and other 3D photography. I have views available in most subject areas . I also have antique photo daguerreotypes, ambrotypes, tintypes, cartes de visite (cdv's), cabinet cards, larger format photographs, Viewmaster, Tru-Vue, etc. Email me your wants. I might have it! If I don't, I can place you in my database for future consideration. 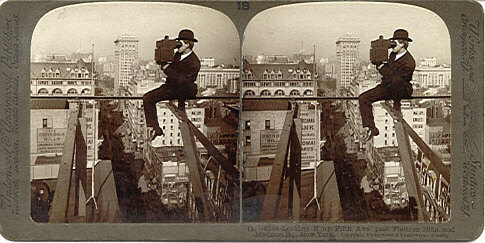 I am always interested in purchasing better quality stereoviews and other photographs. See what people at eBay say about me HERE. Also, if you have interest in knowing more about the National Stereoscopic Association , let me know and I will gladly mail you the information. I collect stereoviews. The following are some of the subjects that interest me. Maine views photographed or published by F.H. Crockett, Rockland, ME., views of Gardiner or Washington, Maine, selected New England views, Western, other U.S.A., photographic related, ghosts, people painting portraits or landscapes, chess related, martial arts or samurai, aviation, birds (especially eagles, racing pigeons, and passenger pigeons), snakes, other animals, hand colored, drinking & drunkenness, romance & humor, comic sets, foreign, etc. etc., Obviously, I'm out of control! I occasionally sell at photographica and ephemera shows. If you are coming to Maine, call for an appointment. This site was created on May 27th, 1997 and is updated regularly.